A Bay Health Index of only 31 versus a score of 100 when Colonial settlers arrived is a sad testament to how we have treated a National Treasure. The index has increased three points since it was last issued for 2008. 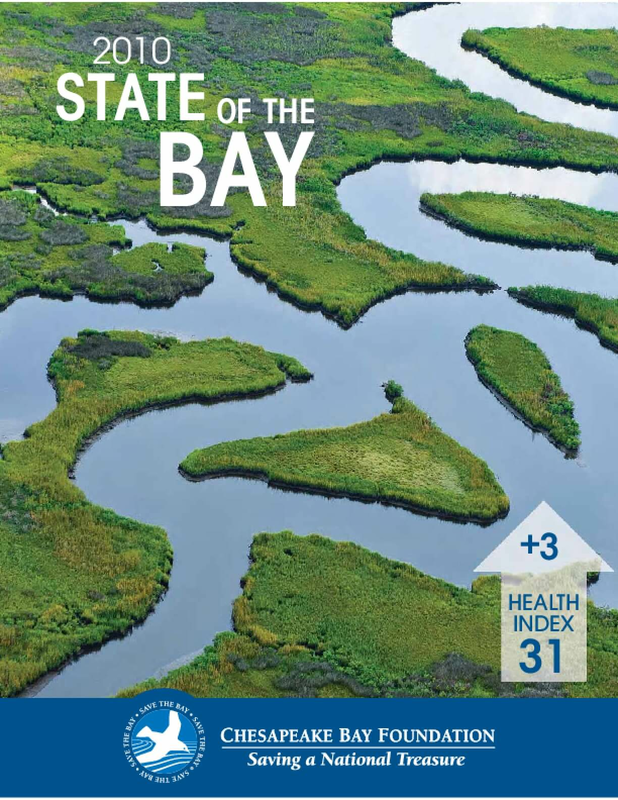 Eight of CBF's 13 State of the Bay indicators have improved this year. In 2008, Maryland and Virginia set science-based regulations to curtail female crab catch, and this year's crab score leapt by 15 points. Underwater grasses, once devastated by pollution, are doing much better. That indicator score advanced by two. The dissolved oxygen, buffers, water clarity, and toxics scores showed measurable progress as well.